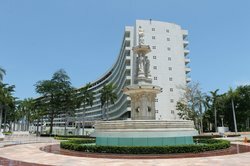 Tours from Tour by Van tend to sell out - travelers recommend booking in advance! Rudy and Poncho are fantastic guides. Great price to see everything in a day. All entrance fees included. 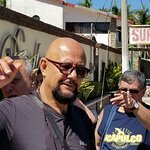 Got to see the real acapulco from the local's perspective as well as the usual tourist hotspots. Also no tourist trap stops like overpriced restaurants and souvenir shops. Also took a bunch of pictures and a video of us for FREE! Who does that? They took us to the best spots, even in crumby neighborhoods, to take the best pictures. Great service! You won't be disappointed. Our activities were guided by Rudy Fregoso who is the utmost professional. He picked up our family on time and greeted us with a smile. Our first activity was the turtle release and explained along the way there what we would expect and why this is an important activity in Acapulco. He explained that the turtles that are native to Mexico were going extinct and how certain philanthropic people along with the help of the government have helped to contain the extinction. This was our first time in Acapulco and the baby turtle release was amazing and inspiring. 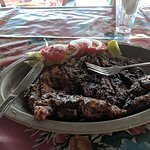 Then we went to the 2nd part of our journey all the while Rudy explaining along the way all sorts of tidbits on Mexican culture and customs which my Husband and Son truly enjoyed. We got to the Horses and the owners were amazing. Very kind and generous People. 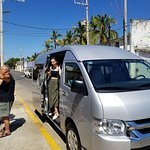 Our ride was spectacular, The beach setting and views were awesome, at the end we went to have a snack and drinks by the river and again we were treated like family. My family and I came away from our experience with Rudy feeling wonderful and would highly recommend these activities with Rudy to everyone. I contact Rudy every year to contract pickup from the airport, rides, dinner reservations and activity dates. Rudy always is on time and is in communication anytime I schedule a pickup or event. He is very knowledgeable, friendly, and helpful in setting up a safe and fun experience whether on vacation or just looking for a fun experience. I really value Rudy as a event planner, guide, and friend. He is the first person I call when I get off the plane. I appreciate all the things Rudy does for the community and his mantra of being an ambitious businessman but humble enough to cater to the working class as well. His restaurant has great value and quality and is a symbol of who his is as a person. See you next year Rudy thanks again cheers! I had booked the cooking tour, as I was the only one Rudy paired me up with a couple who were the only ones to book horse back riding on the beach. Rudy put together a custom tour that more than satisfied all of us. 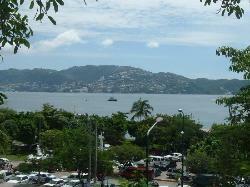 Our driver and guide was very knowledgeable and took us all around the beautiful city of Acapulco. We had a comprehensive tour of the market and were shown all of the highlights of the city. 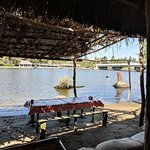 John and Janine got their ride along the beach while I was able to help make my lunch at a typical Mexican outdoor restaurant along the water. 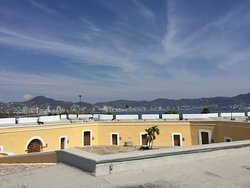 I was most impressed by Acapulco. I would recommend Rudy and his guides. I have used senor Rudy @ tourbyvan for many years now. 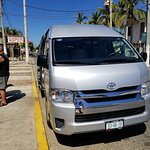 If you need an airport pickup or drop off and pickup to places like Pie de La cuesta which we did yesterday or Barra vieja or Puerto Marques which we have coming up Rudy is reliable and always ready when we need him. take a look at his site and see what interests you. If you are a large group as well he has a terrific new vehicle that we enjoyed yesterday and can accommodate up to 12 people comfortably. Picture is attached. Outstanding value and quality from a passionate Mexican who's humour and political comment marry into❤️an unforgettable experience as he navigates this stunning location.I recommend no other!! Also the cleanest a/c van in the city! !